The Four Upsetter (George Webb on guitar; John Guthrie on drums; Luke Wright on sax; Willian Ray Felts on organ) did a lot of recording at 639 Madison during the first six months of 1963. Of the 19 tracks caught on tape, a total of four were released. Jerry's previous record had been a cover of a rock and roll tune ''Sweet Little Sixteen'' backed with a bluesy country original from the pen of Vic McAlpin. For his encore, he did exactly the same thing. This time out, it's Little Richard rather than Chuck Berry getting the nod. As he had a year earlier, Jerry made the drive east to record these sides in Nashville, using the finest pickers that city had to offer. was to have appeared on Sun 383. There is no indication that such a record was ever released. Believe it or not, this wasn't the first time that Jerry Lee Lewis had prevailed on Sam Phillips to put Linda Gail in front of a microphone. Back in December 1960, she and Jerry's older sister, Frankie Jean, had cut their own version of ''Love Made A Fool Of Me'' two months after Jerry's version of the tune was recorded. Lina Gail also left her version of ''Good Golly Miss Molly'' in the can on the same date. Neither track has seen the light of day. Tony Rossini returned to Madison Avenue to sing back-up on Randy & The Radiants's Sun and Holiday Inn records, and he played in a garage band, the Emeralds, with Buddy Cunningham's son, B.B., who later led the Hombress. ''I wrote songs with Donna Weiss'', Tony said recently. ''She wrote 'Bette Davis Eyes'. We worked as a duet and we were managed by Sy Rosenberg, who managed Charlie Rich. Sy got us a one-year deal with Mercury''. One single was recorded in Nashville in September 1965, and another session was held in May 1966 from which nothing was issued. ''Ray Stevens was on our Mercury sessions, and he got us on Monument and produced us. We had three singles. Then I was drafted in 1968, and went to Vietnam. Spent fourteen months there. I came back in January 1970, and in March I went to California. The scene seemed to be moving out there. Donna was there, Booker T, Steve Cropper. I went to Screem Gems and did demos for B.J. Thomas and others. Then I got a Capitol contract via Boyce and Hart. I had one single on Capitol. I was doing club gigs in Orange County, up and down the coast. Lounge stuff. Lounces were popular. That's where I learned to entertain. I've never made a career out of anything but music''. 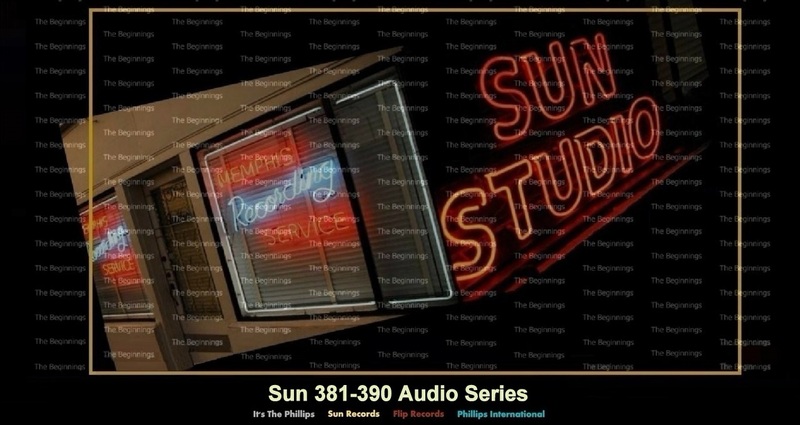 This recording and the last release in July 1963, marked the end of Tony Rossini's recording career at Sun Records. If you listen closely, you'll hear unmistakable signs that young Mr. Rossini's voice was on the brink of changing – a condition that might have contributed as much as the lack of hits to the end of his days at Sun. Now here's an anomalous release – in fact, not even a release. In 1956, Jimmie Otto Rogers ( son of Bluebird country star Jesse Rogers and cousin of yodelin' Jimmie Rogers) came to Sun with Luke McDaniel. They'd already written one rockabilly classic, ''Midnight Shift'' (which Rogers had written under his mother's name, Ainsworth), and they had several more they wanted to get recorded. They feisty McDaniel recognized that Sun was the place to be, but he and Sam Phillips fell out before anything was released. Rogers and McDaniel went on to write the honky tonk classic ''You're Still On My Mind'', and then they fell out. Drummer and vocalist Billy Adams began his Sun career with this record released in January 1964. There has always been a market for white guys singing black material in a style cloned from black guys. Unlike Pat Boone, who rendered black music safe and gender-free for white teens, guys like Adams did little to strip away the exotic menace of black music. Nor did they bring anything new or particularly innovative to the party.